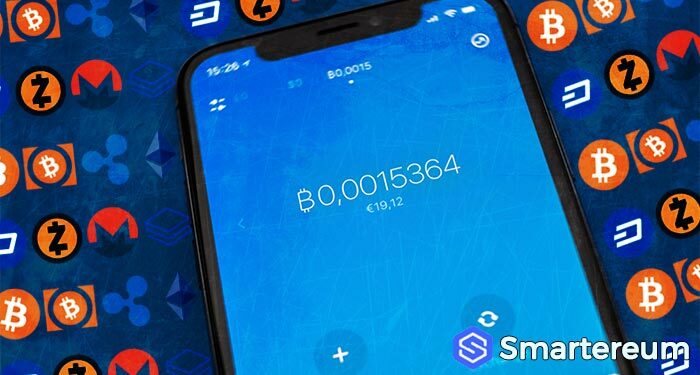 How Will The Integration Of Cryptocurrency Wallets In Smartphones Influence The Adoption Of Blockchain Technology? Blockchain technology has many use cases with some of its most popular in the financial and identity management sector. For more than a decade, the industry has been maturing little by little but it hasn’t been able to reach mass adoption. No matter how efficient a technology is, it will become obsolete if mass adoption isn’t reached. People need to use the technology to keep it alive. Mobile devices have achieved mass adoption. There are only few places in this world were you can find people who have no access to mobile devices. In fact, the massive adoption of mobile devices is what contributed to the massive adoption of the internet. People can access the internet from anywhere in the world using their mobile devices. This leaves a question. Can integrating hardware wallets into mobile devices help promote the adoption of blockchain technology? The answer to the question raised in the second paragraph is yes. Building smartphones with hardware cryptocurrency wallets can boost the adoption of cryptocurrencies and the underlying blockchain technology. This brings us to the next question: at what cost? As attractive as the idea sounds, it raises some security questions. Proponents in the cryptocurrency industry who believe in this idea still say that security might become a problem. Samsung announced that it would soon launch its Galaxy S10 series that would come with a secure cryptocurrency wallet. The tech giant claims that its feature provides the best approach for cryptocurrency storage short and medium-term. How true is this claim? As enticing as the offer seems, many experts don’t agree with Samsung for good reason. It’s true that the wallets will create trusted environments but are environments secure simply because they are trusted? That’s another big question. To keep cryptocurrencies secure, the private key combinations that are used during transactions must be kept securely. This is why a trusted environments for executing transactions is important. A TEE will have isolated storage and memory space that should be inaccessible by the operating system of the smartphone. This is why trustlets, through a secure API can access the environment. If these trustlets are used to store private keys, smartphones will be able to secure cryptocurrencies to a degree. Trusted environments may not be vulnerable if the OS of a smartphone is compromised. However, the platform on which they operate still exposes them to many potential attacks from bad actors. An attacker can easily use a dedicated app to make unauthorized payments from the trusted environment when the user accesses them. Having password requirement on the devices doesn’t solve this issue. According to cryptography professor at Johns Hopkins University, Matthew Green, a sophisticated malware can wait for a user to enter the password, copy it and use it to make fraudulent transactions later on. A blockchain phone is key to eliminating the security risks attached to having a cryptocurrency hardware wallet on a regular smartphone. This is because Function X can enhance the feasibility of cryptocurrency wallets for mobile phones. This makes the XPhone a potential host platform that can be used for security tokenization and trading. Blockchain phones are fully decentralized. Only the owner would have access to information and there will be no need to give third party software access to sensitive information. While regular smartphones can potentially increase the adoption of cryptocurrencies and blockchain technology, a blockchain smartphone will do the same thing while, at the same time, eliminating the possible security risks. Do you think the Samsung Galaxy S10 that has a cryptocurrency wallet that is free from this security vulnerability?